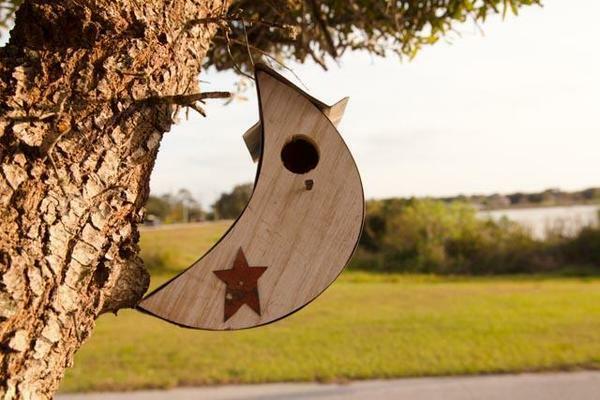 With a classical design and signature woodworking, this endlessly charming moon bird house is the perfect addition to any bustling outdoor space. Its solid poly construction and metal roof promises season upon season of use, setting your garden up for years of beautiful birdsong. If you've any questions at all about this rustic masterpiece, please don't hesitate to get in touch by phone or email!